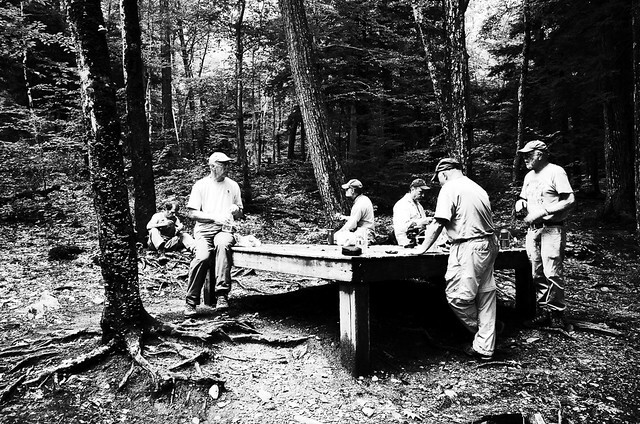 I too really like the timeless look of your superb b& w image of the “A” team taking a break from all that worthwhile work on the Race Brook section of the AT. Gary, And to think, you were just there and got to skip carrying up the lumber. Smart librarian you. Glad you like the high contrast look on this one. I wanted to sort of wipe out personal IDs, just show the outlines of what it’s like. …for librarians. Tough for everyone else.